Know your customers. Personalize their experience. Grow visits and spend. Surprise and delight your customers with unlimited rule-based combinations of gifts, offers, and incentive programs. 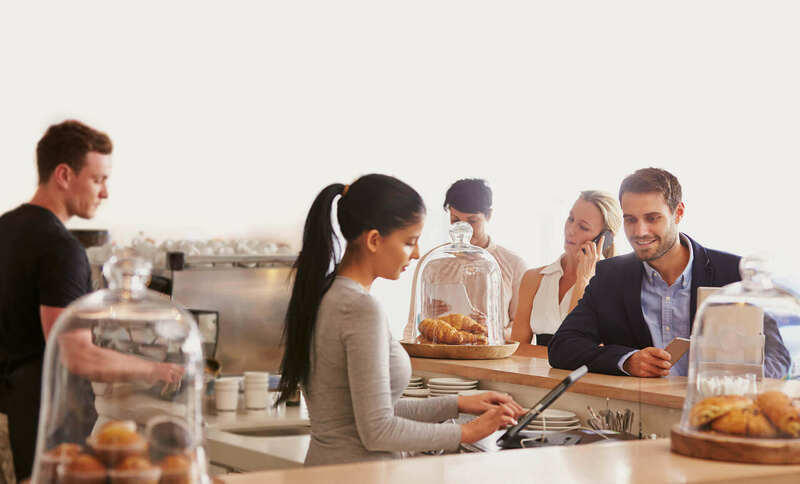 Wefee1 is designed to work with your POS and create an easy, seamless experience for your customers. Your app is the optimal way to keep the best of your business in your customers’ pocket. See beyond the data to turn valuable insights into business decisions that increase sales. Just wind up your loyalty programs and let them run automatically to bring your customers back. Shout out to customers wherever they are through your app, SMS and pushes, email, and QR code flyers. Restaurants, coffee shops, bars, supermarkets, grocery stores, and more. Clothing stores and boutiques, accessories, specialty stores, pet shops, electronics, and more. Hair and nail salons, spas, barber shops, pharmacies, and more. Automotive, laundromats and cleaners, veterinarians, digital agencies, and more. Amusement parks, night clubs, cinemas, music venues, gaming, and more. Gyms, health and fitness chains, sports centers, sports clubs, spas, and more. ©2018 Wefee1. All Rights Reserved.